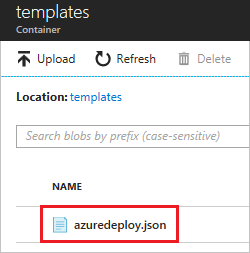 This article explains how to use Azure CLI with Resource Manager templates to deploy your resources to Azure. If you aren't familiar with the concepts of deploying and managing your Azure solutions, see Azure Resource Manager overview. If you don't have Azure CLI installed, you can use the Cloud Shell. 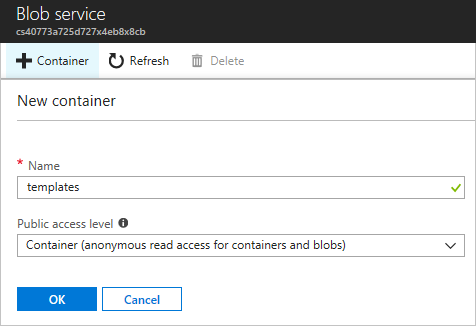 Create a resource group that serves as the container for the deployed resources. The name of the resource group can only include alphanumeric characters, periods, underscores, hyphens, and parenthesis. It can be up to 90 characters. It can't end in a period. A template can include parameters that enable you to customize the deployment. For example, you can provide values that are tailored for a particular environment (such as dev, test, and production). The sample template defines a parameter for the storage account SKU. az group create --name ExampleGroup --location "Central US"
To deploy an external template, use the template-uri parameter. Use the URI in the example to deploy the sample template from GitHub. The preceding example requires a publicly accessible URI for the template, which works for most scenarios because your template shouldn't include sensitive data. If you need to specify sensitive data (like an admin password), pass that value as a secure parameter. However, if you don't want your template to be publicly accessible, you can protect it by storing it in a private storage container. For information about deploying a template that requires a shared access signature (SAS) token, see Deploy private template with SAS token. You can use Cloud Shell to deploy your template. To deploy an external template, provide the URI of the template exactly as you would for any external deployment. 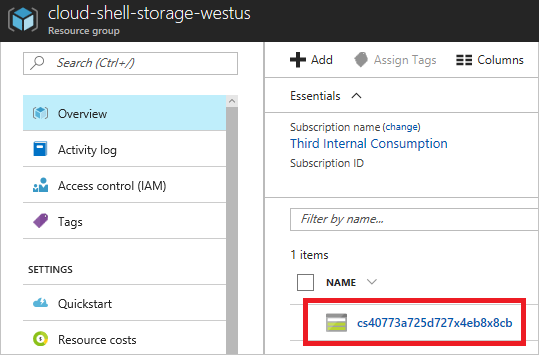 To deploy a local template, you must first load your template into the storage account for your Cloud Shell. 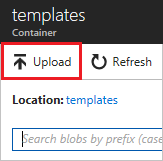 This section describes how to load the template to your cloud shell account, and deploy it as a local file. 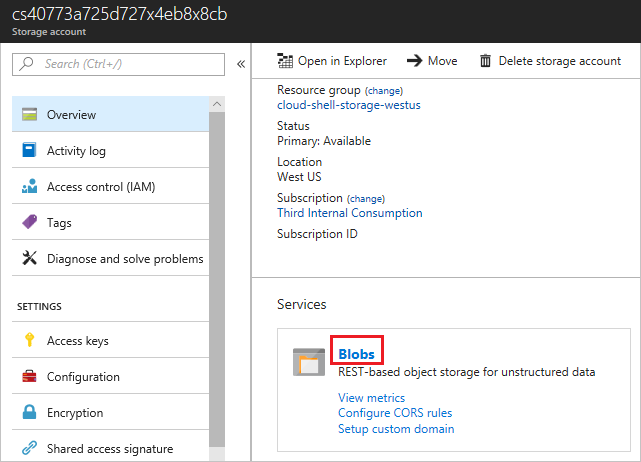 If you haven't used Cloud Shell, see Overview of Azure Cloud Shell for information about setting it up. 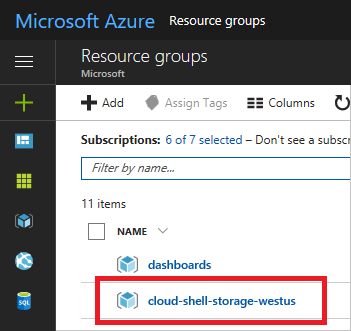 Select your Cloud Shell resource group. The name pattern is cloud-shell-storage-<region>. Select the storage account for your Cloud Shell. Give your container a name and an access level. The sample template in this article contains no sensitive information, so allow anonymous read access. Select OK. 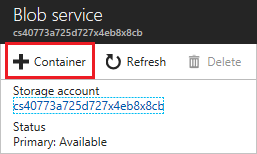 Select the container you created. After it has uploaded, select the template. az group create --name examplegroup --location "South Central US"
To redeploy the last successful deployment, add the --rollback-on-error parameter as a flag. 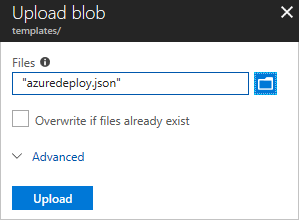 To redeploy a specific deployment, use the --rollback-on-error parameter and provide the name of the deployment. Rather than passing parameters as inline values in your script, you may find it easier to use a JSON file that contains the parameter values. The parameter file must be a local file. External parameter files aren't supported with Azure CLI. To pass a local parameter file, use @ to specify a local file named storage.parameters.json. To test your template and parameter values without actually deploying any resources, use az group deployment validate. If no errors are detected, the command returns information about the test deployment. In particular, notice that the error value is null. The examples in this article deploy resources to a resource group in your default subscription. 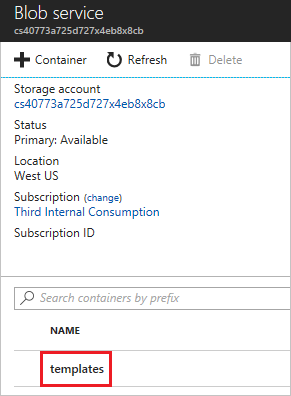 To use a different subscription, see Manage multiple Azure subscriptions. For tips on resolving common deployment errors, see Troubleshoot common Azure deployment errors with Azure Resource Manager.